The Cleveland Indians have won just three of their last 12 games and are currently sitting bottom of the AL Central. 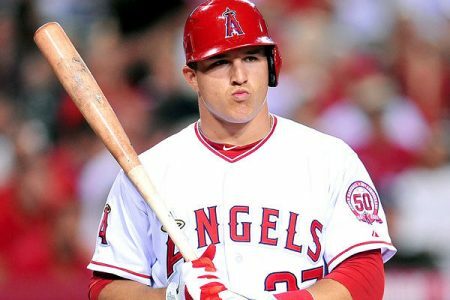 They’re six games off the last Wild Card in the American League, while tonight’s hosts the Los Angeles Angels are holding down the first. The Halos have struggled of late as well though but ended a six-game skid with a 5-4 win in this three-game series opener last night. Carlos Carrasco (11-8, 4.03 ERA) will take the ball for the Indians coming off nine innings of one-run ball at Oakland. He had gone 0-2 with a 6.00 ERA in his four starts before that 3-1 victory but is 7-2 with a 2.82 ERA in 10 road starts for the year. He’s 1-0 with a 1.88 ERA in six career games, two starts against the Angels and will be backed up by a bullpen that is owning a 3.19 mark for the season. The Indians are batting .243 away from home and .242 in night games. Jason Kipnis is leading the team with a .326 AVG but he was put on the disabled list Friday with a shoulder injury. Matt Shoemaker (5-7, 4.24 ERA) will take the mound for the Halos coming off back-to-back scoreless starts for a total of 13 innings. He’s 1-6 with a 4.04 ERA in nine home starts for the year. Shoemaker won his only career start against Cleveland when he conceded two runs and five hits while striking out 10 through eight frames last season. He’ll be backed up by a bullpen that has posted a 3.56 ERA for the year. The Angels are batting .250 at home and .258 in night games. Mike Trout has a team best .310 AVG for the year and is 1-for-3 with a double and a walk off Carrasco in previous meetings. Carrasco may have dominated the Angels in the past but this could be a rough match-up for him considering his most recent outings. Cleveland is all but out of the playoff race while Los Angeles is desperate to build on last night’s win. Shoemaker has been very consistent of late and should be able to lead the Halos to a much needed back-to-back victory.